When Popgadget compiled their Christmas gift guide, she added these versatile lights to the list. 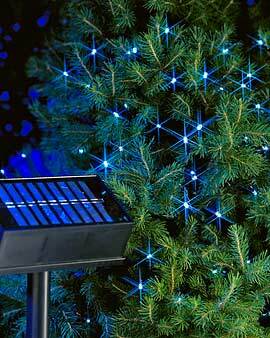 With 102 bright LED bulbs on each string, these solar-powered lights can be used on trees or on your front porch. You don’t even need to put them on timers since they have day and night sensors that will turn them on automatically. On a full charge, the lights will last up to eight hours. Priced at $75 each. What do you think? Would you ever go solar with your Christmas lights?